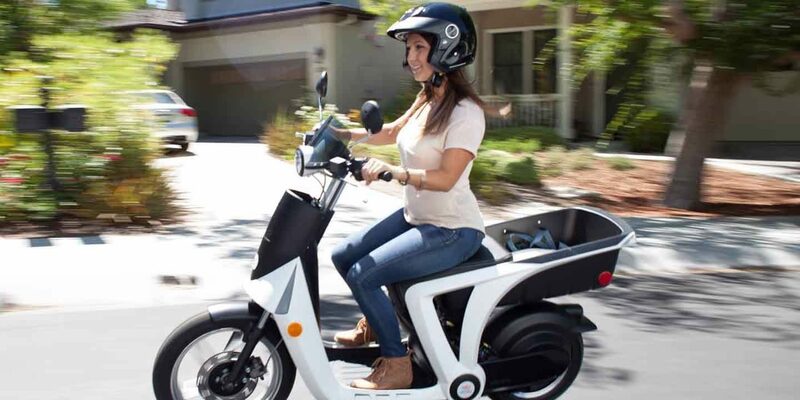 The GenZe 2.0S is an electric smart scooter from a U.S. manufacturer. The scooter has a lot of storage capacity making the scooter usable as cargo / delivery scooter. 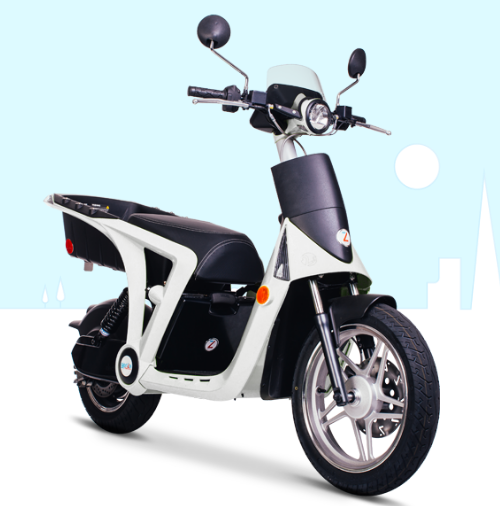 The scooter has a removable Lithium battery with a range of 50 km. The charge time is 3.5 hours with a 500 watt charger. 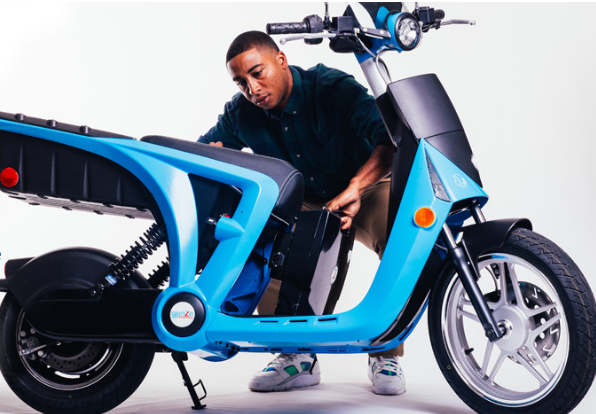 By using multiple batteries, the scooter can operate 24 hours per day. The battery is lockable to prevent theft. 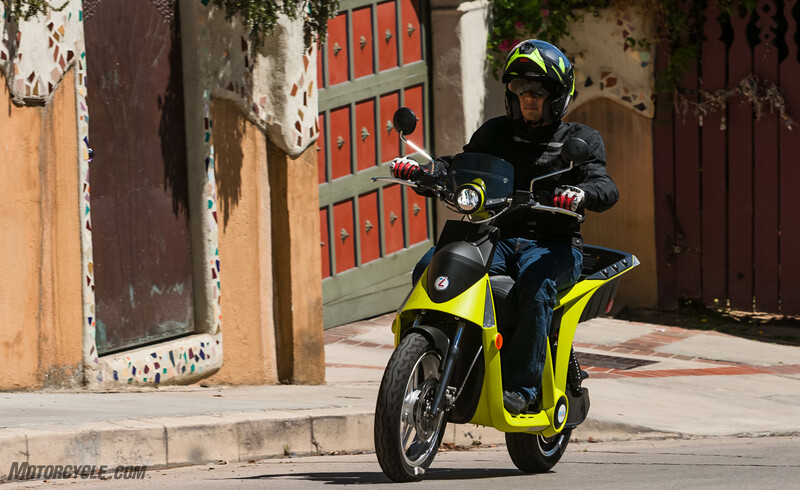 Compared to the old 2.0 model, the 2.0S has lower handlebars, a new front fascia, and a sporty look. 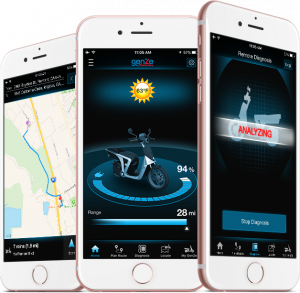 It comes with enhanced app features and three years of 3G telematics data included. 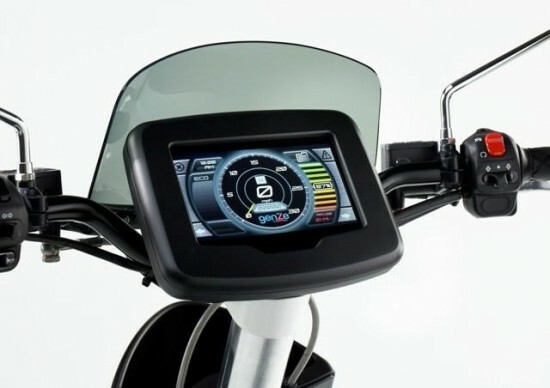 The scooter connects to a smart phone app to provide diverse app features, including the ability to track and disable the scooter remotely to protect the scooter from theft, a route planner specially designed for a 50km/h scooter with consideration of the battery charge, weather and safety alerts and advanced diagnostics that enables remote monitoring of a fleet of electric scooters. 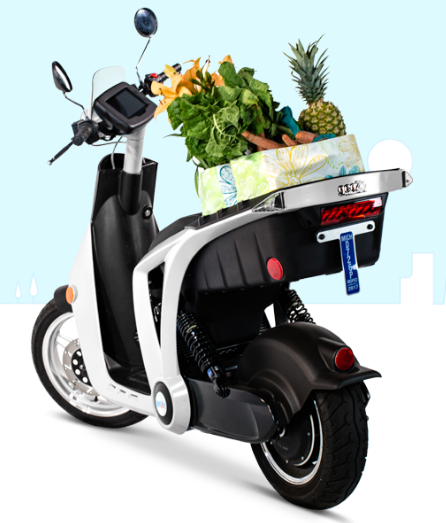 Genze provides professional fleet management software and solutions that can be included with the scooter. 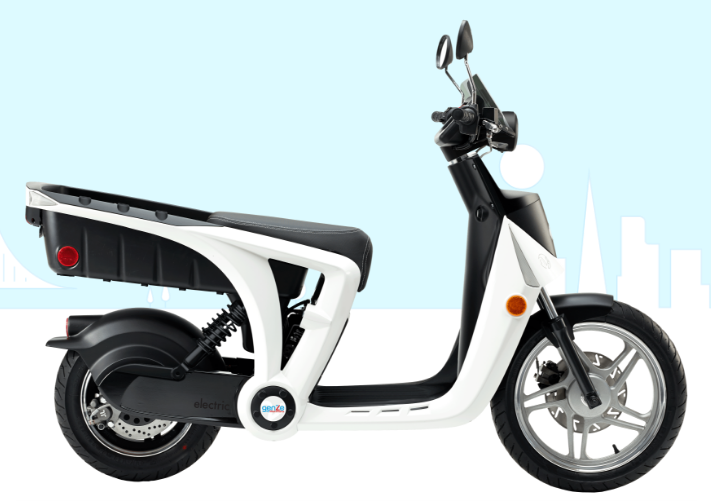 The scooter has 4 driving modes: Sport, Economy, Easy and Custom (programmable). 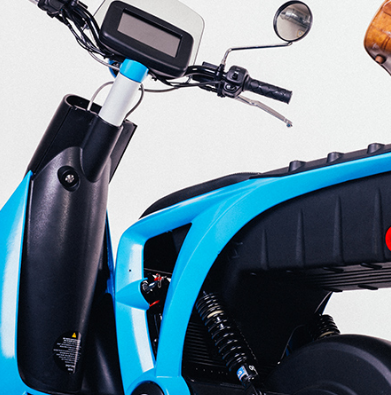 The scooter is available in many colors and can be provided with a custom print (company colors and logo). 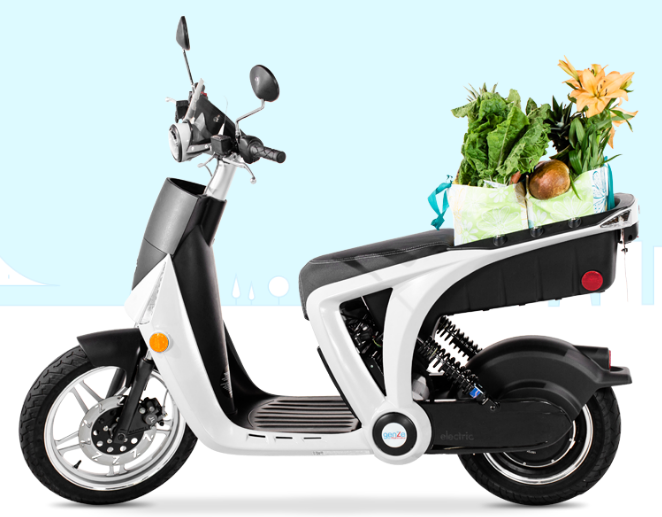 The scooter can be ordered via a online configurator.